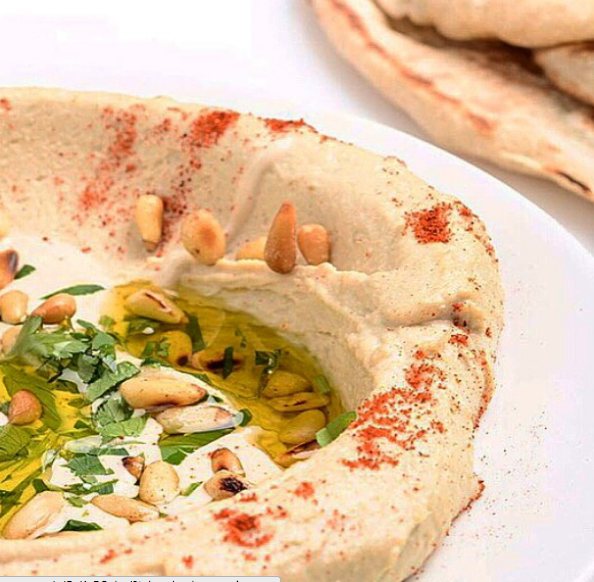 Have you ever craved homemade hummus so badly that you’d pay to have it delivered to your front door? Well, if you’re in New York City, there’s someone who can help you out. His name is Ohad Fisherman, and his company is Hummus Joonam. According to the New York Post, Fisherman works in real estate by day. By night, he’s in the business of high-end hummus. So far, his clients include reality TV stars, an ex-Kardashian lover, and a real estate mogul who requests its delivery via private jet. If you’re not exactly a member of the one percent’s hummus club, you can find it in East Village’s Holyland Market. 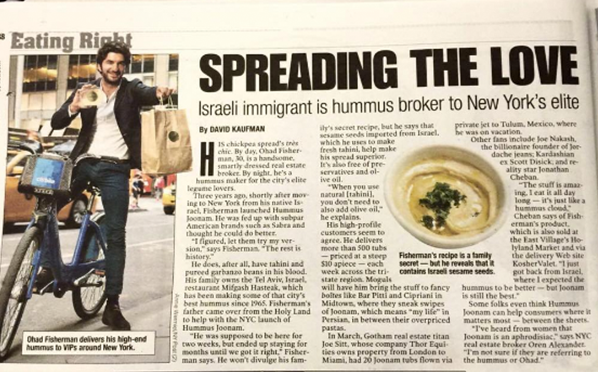 Fisherman started Hummus Joonam three years ago after moving to NYC from Israel. Like others in the small-batch food biz, he was unsatisfied with the mass-produced food options and believed he could do it better. For Fisherman, Sabra and Tribe just weren’t cutting it. If it’s not already sold out, you can purchase a hummus ($10), homemade pita ($1.50), and salsa ($8) on his website or at KosherValet.com. Photos from Hummus Joonam’s Instagram.